NEW YORK (CNN) -- Two men arrested in late February in the beating death of an Ecuadorian immigrant have been indicted on murder charges, prosecutors announced Tuesday. Jose Sucuzhanay was beaten after leaving a party December 7, 2008, at a Brooklyn church. Keith Phoenix, 28, and Hakim Scott, 25, will face charges of second-degree murder as a hate crime, according to the Brooklyn district attorney's office. Each man could get up to 78 years in prison if convicted. Police said the victim, Jose Sucuzhanay, 31, and his brother, Romel Sucuzhanay, 34, had left a party at a church on December 7 and were embracing each other to keep warm in the cold. Scott and Phoenix approached them in a car in Brooklyn's Bushwick section, about a block from the brothers' home and, police said, the two men shouted anti-gay vulgarities and attacked the brothers. Scott first assaulted Jose Sucuzhanay with a beer bottle before chasing his brother, police said. Phoenix then "savagely beat" Jose Sucuzhanay on his ribs, shoulders, head and back with an aluminum bat, according to Police Commissioner Raymond W. Kelly. 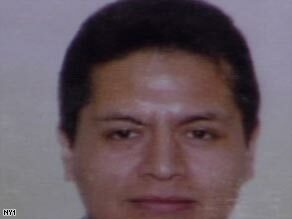 Jose Sucuzhanay died of his injuries hours before his mother arrived in New York from Ecuador. Romel Sucuzhanay escaped with minor scrapes. Police said they were able to identify the two suspects when they determined that they had crossed the Triborough Bridge after the crime. They interviewed bridge toll booth employees and combed through videotape of cars passing through cash-only lanes on the bridge to determine identities of suspects. At the time of the arrests, Kelly said both suspects had confessed to the crime. CNN's Jesse Solomon and Jason Kessler contributed to this report.